You are here: Home / Homeschool Freebies / Improve Your Child’s Memory FREE eBook! 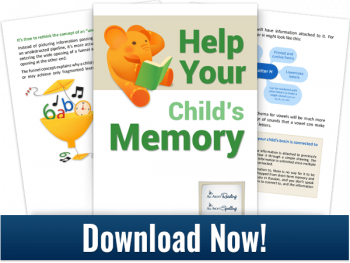 Improve Your Child’s Memory FREE eBook! Have you been concerned about your child’s ability to memorize small lists or vocab or skills/concepts? Then you will find this Improve Your Child’s Memory FREE eBook very useful! All About Reading has a wonderful, descriptive post full of tips and ideas for you to help improve your child’s working memory. But at the end of the post, there’s a chance for you to download their free ebook for even MORE tips and helpful ideas! Get this Improve Your Child’s Memory FREE eBook!